What Happens if I Have a Bad Home Inspection? Selling your home can be a stressful situation. It’s more about the unknown that bothers most sellers than actually moving and packing. 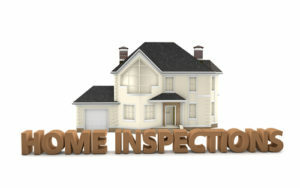 One mystery that has to be addressed fairly early in the transaction is the home inspection. I equate the experience to being told that you are going to have a pop quiz that you weren’t prepared for. Well, the home inspection process can feel like that. So, what do you do when you have a bad home inspection? First, it may look like a bad inspection, but is it really? Every home, new or old has something wrong with it. In 20 years of selling homes, I have never seen a clean home inspection, ever. A home inspector must thoroughly go through your home to evaluate the major mechanicals, structural, roof, interior and pest. He or she will also check in the attic, outbuilding(s) and electrical. As a result of the findings, the inspector usually categorizes the defects found in your home three ways. First is the maintenance items. Second on the list are minor repairs. Third are major defects found in the home which may affect health and safety. This report usually comes with photos and is broken down into sections. The last page will be the defective items list. Sometimes, inspectors will itemize and attach a value to the listed repairs, which I do not care for. Why, because this is a home inspector, not a licensed contractor. When I see an estimate for repairs, in my experience it seems like the repair values are not realistic and higher. Usually, you can find a local, reputable contractor who will do the job for less money than what the inspector quoted. In most states, like Florida, if the buyer is requesting the seller to repair, replace or reduce the home value as a result of the home inspection, you (seller) are entitled to a full inspection report. If you have a copy of the report and it shows either a laundry list of repairs, some major, the first thing you should do is sit down with your agent and find out what the buyer wants. I have seen buyers take the property as is with all the known defects. Just because you have an inspection report showing all kinds of things wrong with your house doesn’t mean the buyer isn’t going to accept the property as is. However, if you are reading this, it is probably because the buyer either wants you to repair your home, give the buyer money in lieu of repairs or wants to terminate the contract with you. Remember, as the seller, you are not forced to do any repairs and the home inspection report should not be used as a list to make your house perfect. With that being said, like most sellers, you probably want to move on to the next step in your life and that includes selling your home. If you are considering doing some of the repairs, first make sure that they buyers are not out of contract for the home inspection and response. Your purchase agreement has a section that specifies how long the buyer has to conduct the inspection and make a response time. If the buyer has exceeded the time frame, they may have to take the property in as is or run the risk of losing their deposit. If the buyer is within the timeframe of the home inspection period and is requesting repairs before you make a decision regarding repairs, have your Realtor contact the buyer’s Realtor to get a feel for what they buyer is willing to accept. This is when you want a strong, experienced agent to be on your side. Keep in mind how you priced your home to sell. If you priced your home below market value for a quick sale, then doing any requested repairs may not be in your best interest. However, if you sold your home at today’s current market value, then doing repairs may just be bringing your home up to current market standards in that price point. Deciding how to price your home, basically, sets the expectations for an as is sale vs a repaired value. If you sold your home below market value (wholesale price) the buyer may still try to negotiate repairs, you can always say no. Or, you could do the repairs and negotiate the price to reflect your investment. Major defects like an unknown septic problem that requires an entirely new septic system may be a repair that requires the price to be raised. For example, a septic system once installed lasts for years and will be enjoyed by the new home owners and therefore may be a repair that can be split between the buyer and seller by adjusting the price accordingly. What kind of mortgage the buyer is using will also determine what and if the repairs the buyer is requesting need to be completed by you. 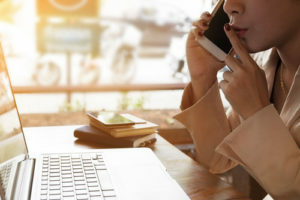 Most mortgages have an appraisal contingency, which means the funding of the loan is contingent upon your home meeting the appraisal standards as well as value. If the appraiser requires repairs, and you are unwilling to do them, the buyer may not be able to move forward with the purchase of your home. 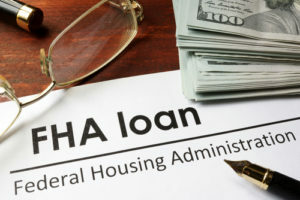 For instance, FHA and VA mortgages have a set of requirements the home must meet in order for the financing to be completed. If your home, for instance, has rotting exterior wood or chipped and peeling paint (and was built prior to 1978), those issues must be addressed by you prior to closing. Although the appraisal normally is scheduled after the home inspection period has passed, the buyer’s mortgage lender can provide some help regarding what is acceptable for underwriting standards. Minor and Maintenance Items: These issues do not affect the habitability of the home but can add up monetarily if there are numerous repairs. Although not considered major repairs, if the buyers are asking for these type of repairs, it may be in your best interest to either negotiate with the buyers, maybe meeting them halfway or just do them if it means keeping the sale moving along on time. Major Repairs: These are considered items that affect the habitability or health and safety of the residents living in the home. Sometimes these defects found by the inspector were not readily known and can be a big surprise, and perhaps expensive to repair. However, most of the buyers, whether it is the current buyer or a new one, will ask for these repairs to be done or expect compensation in lieu of repairs. Getting an estimate: Before just saying no to the buyer’s repair requests, at least get an estimate. This will give you an idea of how much the repair is going to cost. You may not be repairing the requested items, but if you plan on giving some type of monetary compensation, you will know how much to give. Plus, sometimes what may sound extremely intimidating and expensive to repair, may be an easier fix than what you expected. Analyze Time Frame for Completion of Repairs: Unless the buyer is willing to take compensation or a price reduction for requested repairs, all repairs must be completed prior to closing. Some repairs may call for permits to be pulled and closed before the transfer of ownership can take place. This may delay your closing. So, planning for repairs should take into consideration the contract closing date whether you need to extend your closing date in writing. Work Done by Licensed Contractors: The buyer more than likely, will do a walk through prior to closing and ask for proof of work completed. Normally, this includes supplying buyers with receipts and a work write up of what was completed. Work should be done by licensed contractors for that specific trade. In addition, the items replaced or repaired by you must be equal or greater quality than what was originally found in your home. For example, if you had to replace a broken toilet that was black, you must replace it with the same color and equal or better quality than the original. Depending upon the inspection clause in your purchase agreement, saying no to the buyer may allow the buyer to withdraw from the contract. Even if the buyer accepts your home with no repairs, your home may fail the appraisal. As a result, the buyer will not be able to complete the transaction due to the lack of funding. Either way, if the purchase does not come to fruition and you put your home back on the market, you must disclose the known defects if you decided not to repair them. Most States have requirements for licensed agents engaged in selling real estate when it comes to known property defects. For instance, in Florida, if a licensed agent is aware of any known defects whether found in the home inspection or disclosed by the homeowner, they are required to disclose those issues. A seasoned agent will more than likely have some type of disclosure signed by the buyer and seller specifically addressing the known issues to protect all parties. Regardless of loyalty or agency agreement, telling the truth overrules any fiduciary responsibilities when it comes to defect disclosures. Selling your home can be a complex transaction. Knowing how to treat the outcome of a home inspection while responding to the buyer’s requests can mean the difference between closing or putting your home back up for sale. Have a strategy and put your ego aside. If your goal is to sell the house, a little compromise can go a long way. What happens if the seller's home fails the home inspection? Explore the options of what to do and how to respond to a bad home inspection. Are sellers forced to do repairs when they have a bad home inspection?